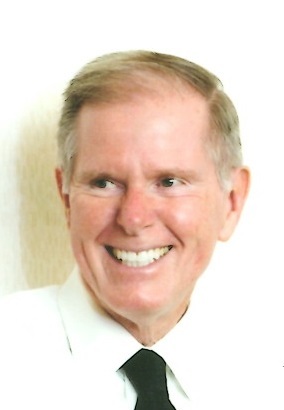 Obituary for Bernard P. Harney | Shore Point Funeral Home and Cremation Services, Inc.
Bernard P. Harney, 69, passed away on Tuesday, October 23, 2018 at Riverview Medical Center in Red Bank, New Jersey. He was born on March 18,1949 in Manhattan, New York. He was raised in Queens, New York before moving to Long Island, in 1974 where he bought his first house with his beloved wife of 47 years. The family then moved to Staten Island, New York in 1980, before settling in Parlin, New Jersey in 2005. Bernard worked for the Mendon Leasing Corporation as the Director of Credit, in Brooklyn, New York. Bernard was predeceased by his dear parents, Bernard P. and Rita (McCauley) Harney. He is survived by his beloved wife, Mary Ellen (Lynch) Harney, his dear children, Bryan C. Harney and his wife, Heather of San Juan Capistrano, California, and Brendan P. Harney and his wife, Julie of New York, New York, and his cherished grandchildren, Declan, Isla and Quinn Harney. Bernard will be deeply missed, but never forgotten. Family and friends are invited to visit on Thursday evening, October 25, 2018 from 4:00 PM to 8:00 PM and Friday morning, October 26, 2018 from 8:30 AM to 9:15 AM at the Shore Point Funeral Home and Cremation Services, Inc., 3269 State Highway/Route 35 North, Hazlet, New Jersey. A Mass of Christian Burial will be offered on Friday morning, October 26, 2018 at 10:00 AM at St. Mary’s R.C. Church, 256 Augusta Street, South Amboy, New Jersey 08879. In respect of Bernard’s wishes, he will be privately cremated. In lieu of flowers, memorial contributions can be made in “Bernard’s Memory” to Memorial Sloan Kettering Cancer Center, visit the website at giving.mskcc.org. For information, directions, or to send condolences to the family, please visit, www.shorepointfh.com.